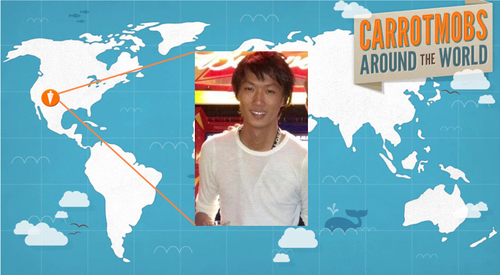 We talked to Swithin Lui who tells us why he’s a Carrotmobber. 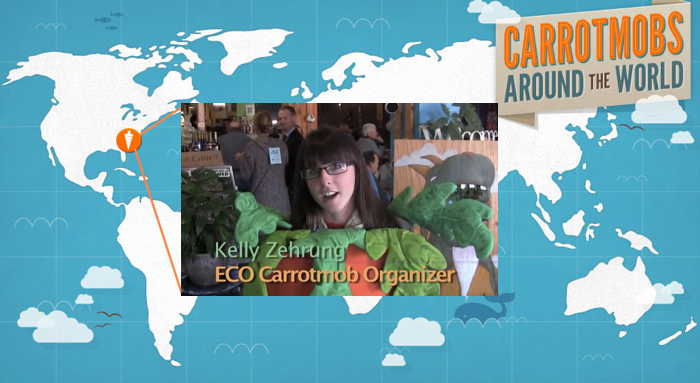 A: During the peak of the Occupy movement, I was drawn to Carrotmob for their philosophy in creating positive change. Instead of threatening power holders with boycotts or other negative campaigning strategies, Carrotmob gives them proper incentives that reward green behavior. I also believe that businesses hold great influence in shifting society away from unsustainable practices and the fossil fuel industry; it was a perfect fit. 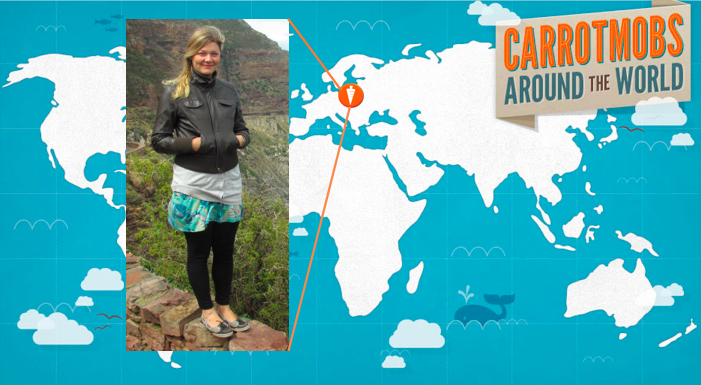 A: I Carrotmob because one day in the future, when humanity lives in zero waste municipalities and power grids not only distribute energy but collect it from windy mountain peaks and waves crashing in the Pacific, historians will study where it all started. They will find, at some point, that in the beginning of the 21st century a little niche was created in campaigning for a sustainable future. It started with a small business on the west coast of the US before spreading like napalm around the nation and then around the globe, catching human conscience on fire with the desire to do what is good, right and necessary for us as a collective people. Somewhere along the timeline of humanity, Carrotmob will have been an optimistic and revolutionary statement in the complex, epic story of how mankind took that all-important second chance and saved themselves from an impending climate change event-horizon. A: The most exciting part for me was after we had found our winning business and the winning bid. Finding fun and creative ways to advertise with your team is always a joy. I remember we split up into groups of two, armed with posters, flyers and chalk, and would often race each other through parts of campus and town seeing who could finish the fastest or who could create the most artistic chalk mural. The event date was a blast, seeing all your friends, mentors and engaged citizens coming to support the movement. And the fact that our team was awarded and recognized at the Sustainability Awards ceremony at CU Boulder was just the frosting on the cake.